DC Centre strives to be the go-to venue for all of your meeting and event space needs. We can help you host a variety of events such as the following: Seminars, Training Sessions, Breakfasts, Luncheons, Dinners, Meetings, Corporate Parties and Holiday Events. DC Centre can accommodate anywhere from 50 to 1,200 attendees at one time. 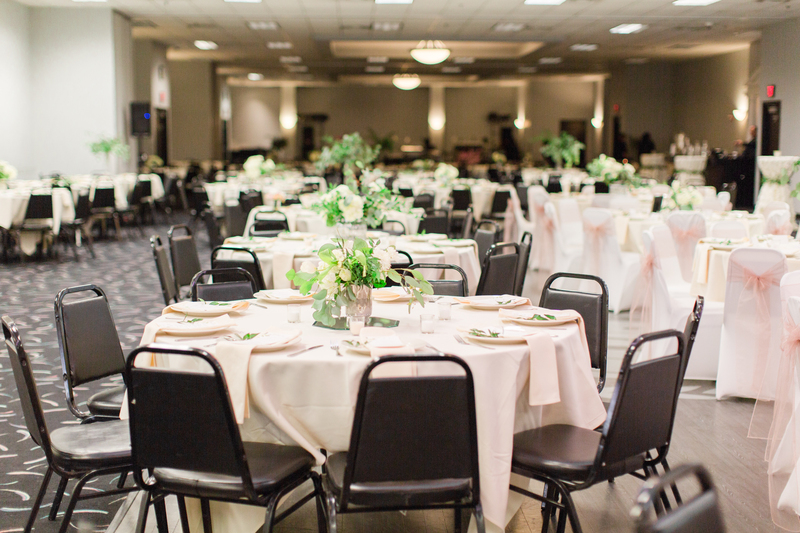 Our venue is capable of numerous options for event configurations which include: the Entire Building, Bronze Ballroom, Gold Ballroom, Silver Ballroom, Bronze Suite A or B, Silver Suite A or B and VIP Suite. The VIP suite can hold 40 attendees or less. When you sign the DC Centre contract for your event, even if it is 6-12 months away the pricing will not change! We understand that budgets are set well in advance. Our contracts, therefore, do not include any statement or disclaimer allowing us to increase our prices, even if our costs increase. What you sign for is what you will pay. Guaranteed! Everything is included in your rental. Everything! We don’t charge for incidentals. We believe you shouldn’t have to worry about how many napkins and tablecloths you are using. With us, you don’t have to. DC Centre’s exclusive beverage pricing is as good as it gets. We charge a flat fee for the entire evening. We do not count gallons and there is no “refreshing” fee. No more worrying about how many kegs are tapped or bottles are opened; it simply doesn’t matter! With DC Centre there is no credit application when you book with us. There is no attrition clause. We don’t have sleeping rooms like hotels do so they can’t be included in your contract. Last but not least, we do include a lot of things with your event such as any bartenders that are needed, banquet staff and room manager.